A string of church fires across Missouri has led local authorities on the hunt for a lone arsonist since Oct. 8. This week, police stated that the fires, which caused damage to half a dozen separate churches across the greater St. Louis area, were likely meant to convey a message to the community, though they didn't speculate as to what that specific message might be. And, well, the community has a message for the arsonist as well: one of concern. On Tuesday, authorities announced that they were attempting to determine the identity of the individual behind the burning of six predominantly black churches and were investigating whether or not the crimes were racially motivated. "It is only a matter of time before someone is injured or harmed as a result of this fire-setting activity, and we ask that the community continue to maintain vigilance, take note of their environments, and assist us in identifying this offender," the Bureau of Alcohol, Tobacco, Firearms and Explosives (ATF) wrote in a statement. According to St. Louis Fire Chief Dennis Jenkerson, all six of the fires originated at each of the chapels' front doors, which were sprayed with accelerant, when no one was around. "[All of the churches] have a predominantly African-American following [and are] within predominantly African-American neighborhoods," Jenkerson said in a comment to reporters this week. Given the limited budgets on which each of the churches run, there was simply not enough funding to purchase even simple security systems or cameras, lamented regional Anti-Defamation League director Karen Aroesty, in a comment to ABC News on Tuesday. "They don't have ... security cameras or motion sensors that would create an atmosphere where someone would not want to try something like this," said Aroesty. She added that the fires couldn't have come at a worse time, given the relatively recent violence that's been plaguing the city for the past 14 months. "We need to be moving forward with all optimism and empowerment, and events like this which should raise a lot of anxiety in the African American community can make people pause." The fires are reminiscent of those that spread across the southern states in the aftermath of a deadly June 17 shooting at Emanuel AME Church in Charleston, South Carolina, in which a lone gunman entered the church and opened fire on prayer meeting congregants. 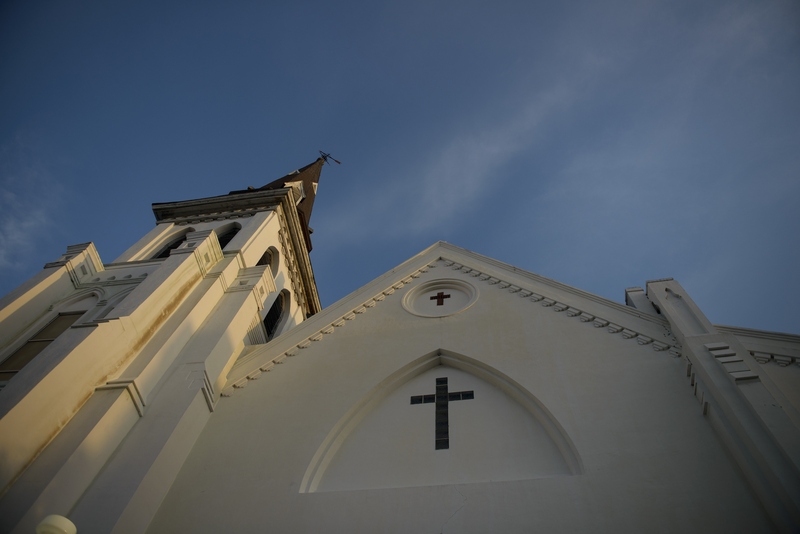 In the days following the tragedy, local authorities reported a number of fires at historically black churches across the state, although they later said that the fires were not connected to the shooting. It could be a black man coming against black churches. We don't know if there's any race barrier to this. ... The arsonist, he's not my enemy. I forgave him the moment I pulled up to the burning church. I believe he is spiritually sick, and that’s the way we have to address this — by setting our differences aside and praying together. A number of Triggs' fellow clergy members agreed. "Our biggest concern is for whoever is doing this," said Rev. Roderick Burton of New Northside Missionary Baptist Church, in an interview with CNN on Tuesday. "We want them to get help [and] we want them to stop, absolutely." The churches hit by the string of arson included Bethel Nondenominational Church in Jennings (near Ferguson), the neighboring Northside Missionary Baptist Church, and four St. Louis-based churches: St. Augustine Catholic Church, New Testament Church of Christ, New Life Missionary Baptist Church, and Ebenezer Lutheran Church. The ATF on Tuesday offered a reward of $2,000 to anyone with information leading to the identification and arrest of the person responsible for the blazes.